SUIT UP, GENTLEMEN! Your brands for your perfect workwear look. Traditional materials, such as cord, tweed and wool, paired with an elegant, tailored blazer make a great outfit for the office. 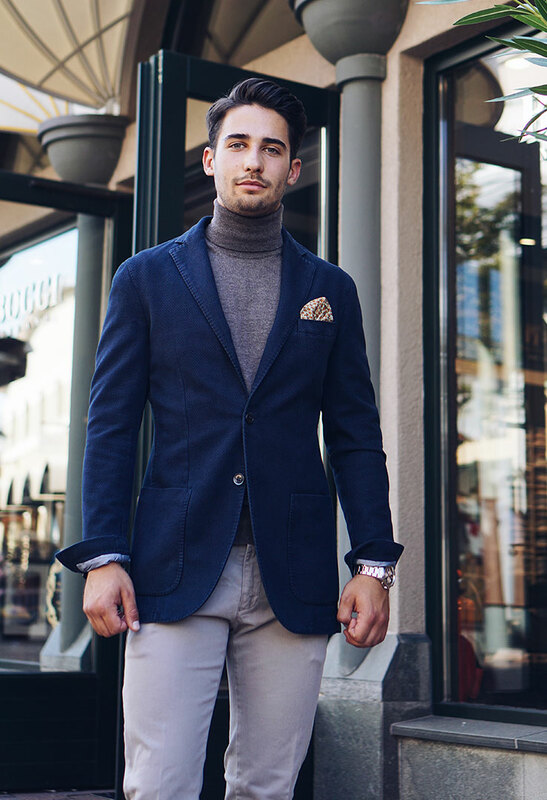 Pull on a roll neck, throw on a blazer and roll up your sleeves for a comfortable, modern look. Sporty, modern jackets are definitely in style this season. These slimline, close-fitting styles have been established as a workwear staple and look great when paired with shorter-style trousers that fall just above the shoe. 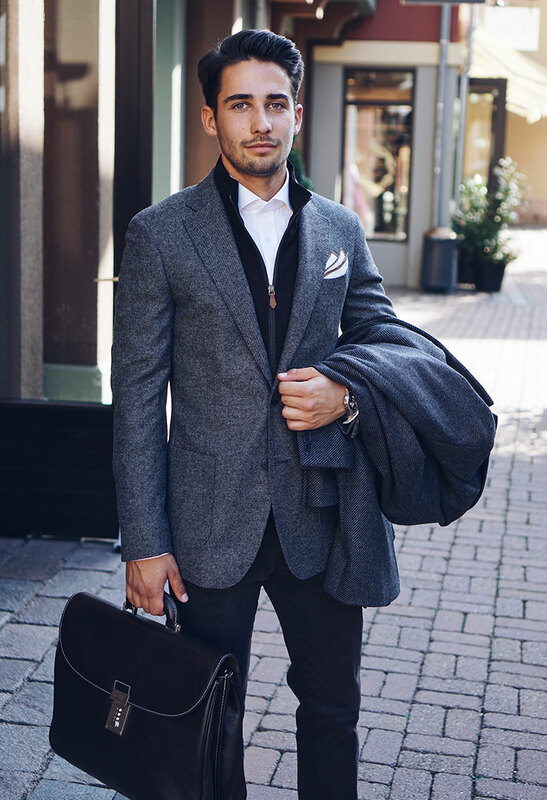 A pocket square lends a certain elegance to this look and adds a personal touch – you can leave your tie at home for this one! The easiest way to achieve a sleek workwear look is with a super-stylish suit: especially when it’s a classic Italian one. A slim, tailored jacket combined with slightly shorter trousers makes for the perfect fashionable office look. Add a tie in muted red to brighten up your outfit.